Student Syndrome: Starting the task at the latest possible moment. Parkinson’s Law: Determining the completion of the task throughout the assigned full duration. Multitasking: Working on multiple tasks simultaneously and thus not being committed to any one task, introducing major delays in completing tasks. According to many project management professionals, Goldratt’s Critical Chain is thought to be the most significant contribution to project management since the introduction of the PERT system and the critical path method. Those who are practicing this methodology find it a good alternative to the established standard of Project Management as advocated by PMBOK®. One of the popular ways to analyze projects is Critical Chain Project Management (CCPM). Let’s together figure it out what it is. 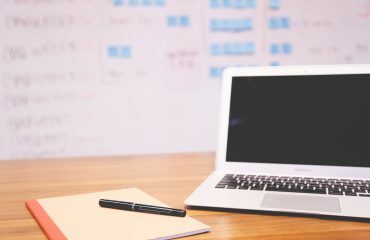 In this article, we’ll provide a brief overview of the principles of Critical Chain Project Management and its applicability to managing projects. What is a critical chain method? What is the Difference Between the Critical Path and the Critical Chain? 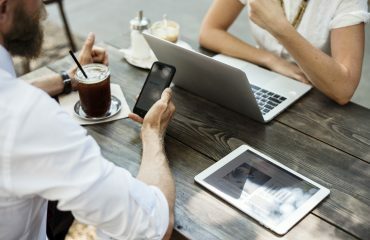 This is a critical technique intended to speed up the process by improving the rate of meeting due dates. It focuses on planning and managing by paying much attention to resources and resource management, risks, uncertainties. This method originates from the Theory of Constraints notions was introduced in the book with the title Critical Chain. Putting a primary focus on the resources needed to complete the project’s tasks, critical chain method begins by building a project schedule and identifying the most crucial tasks that need to be done and reserving resource for those high-priority tasks. Critical chain method does not rely primarily on estimates. Such an approach allows managers to eliminate uncertainties and use safety buffers to level down risks and ensure the stability of a plan. It comes into action after the preparation of the initial project schedule that includes the establishing task dependencies. The evolved critical path is reworked based on the Critical Chain Method. Critical path and critical chain are both methods of project scheduling and they are frequently confused. Nevertheless, there is a world of difference between the two methods. The Critical Chain Model has a resource focus, whereas Critical Path is a task order focused. Let’s have a detailed comparison of each (Critical path methods Vs. Critical chain method). The critical path method calculates the early start and finish dates and late start and finish dates for all scheduled activities. It is the sequence of activities from start to the end of the project. The method is based on mathematical calculations and it is used for scheduling project activities. To identify the critical path in a project, determine the following four parameters. Earliest start time (ES) – The time an activity can start once the previous dependent activities are over. Earliest finish time (EF) – ES + activity duration. Latest finish time (LF) – The time an activity can finish without delaying the project. Latest start time (LS) – LF – activity duration. What is critical chain method PMP? It is an outgrowth of the Theory of Constraints that focuses on fixing bottlenecks to improve the throughput of the overall system. Likewise, Critical Chain focuses on bottlenecks. For instance, a pharmacy company was experiencing significant delays with drug approvals. It was found that the bottleneck was statisticians to analyze clinical trial data. Using the Critical Chain Method, projects can be completed more quickly and with greater scheduling safety. It modifies the project schedule to account for limited resources by adding duration buffers that are non-work schedule activities. 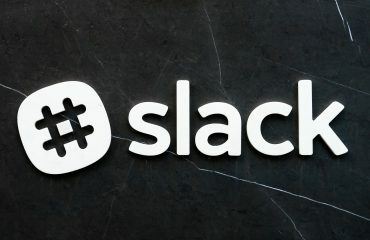 Critical chain is completed after fixing the critical path by entering resource availability, managing remaining buffer durations against the remaining duration of task chains. To account for the uncertainty associated with the critical chain, you add buffers. What is a buffer in project management? A buffer gives project managers space when unexpected events occur and is connected with scheduling in project management. Buffer at the end of the project is used to protect the delivery date. A single Project buffer at the end of a project is the main tool to manage risk in CCPM. It is put at the end in between the last task and the date of completion. It helps to keep the completion date the same despite any delays. Those delays consume buffer time what allows protecting the completion date. Feeding buffers are time buffers added between last assignments in different groups. Capital buffers are reserve funds for contingencies. Inventory buffers are unreleased work to be released when projects go better. Resource buffer ensures that resources are available in case they are needed. With the start of a project, project management activities earlier have been based on constraints that sometimes delay the process. So you budget more time than you really need just to get finished on time. So the first step is to let people know what you’re trying to achieve. Of course, you want the average time in which an activity can be completed to make sure everything goes well. After you’ve got all the information, you can start constructing your critical chain using the average time, plus a buffer that’s between the best and worst-case scenarios. Multitasking is the process of dropping a task before it is finished to start another and begin yet another or go back to previous. It goes out of the window because you probably cannot do several things at once and still focus on each one to the full. Your projects will expect 100 percent focus on the task at hand. When following the critical chain methodology for your projects, it’s important to keep your team focused on individual tasks as it will lead to more productive, harmonious, collaborative behaviors. This will also add to timely task completion and efficiency. The critical chain process idea is a great idea to avoid wasted time and push the team members towards a more efficient timeline. Successful critical chain processes cut the estimated time needed for projects. Sometimes employees procrastinate, this practice will push them to finish their tasks on time. Buffers provide information on when and where recovery is needed, a buffer plan can inform you if the buffer can be removed. After you cut the estimated time needed by 50%, the remaining time can then be used as a buffer. It acts as a shock absorber for the project. Implementing project buffers with the CCPM process leads to finishing projects 25% faster. To support this approach, special critical chain project management software is needed. Popular tools such as ProofHub can help to make timeline charts for project scheduling. The success of your project depends largely on how well you execute. ProofHub’s Gantt chart gives you everything you need to plan your projects and ProofHub Calendar gives a comprehensive vision of your project schedule, with tasks and dependencies clearly defined and plotted. A delay of any number of days in this path directly affects the project. 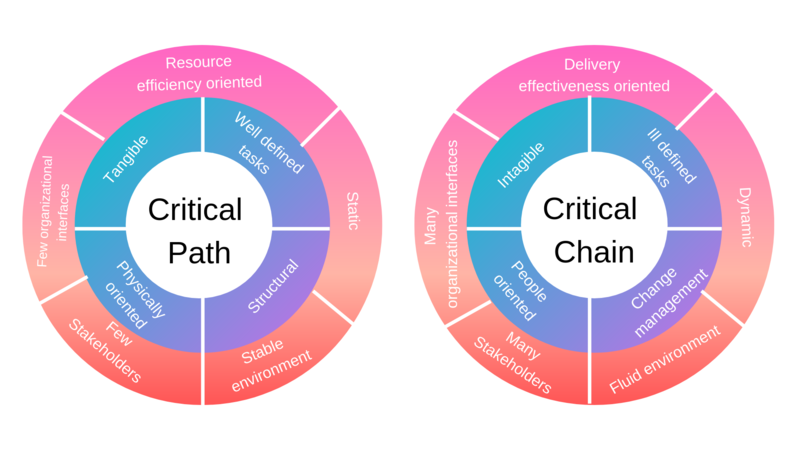 The proposed method of the critical chain is useful for both project planning and execution and it can actually make your organization to flourish to new heights. Try the ProofHub features today and determine your schedules with better precision. Learn more about it here.